This weeks Tuesdays With Dorie was chosen by Becky of Project Domestication. 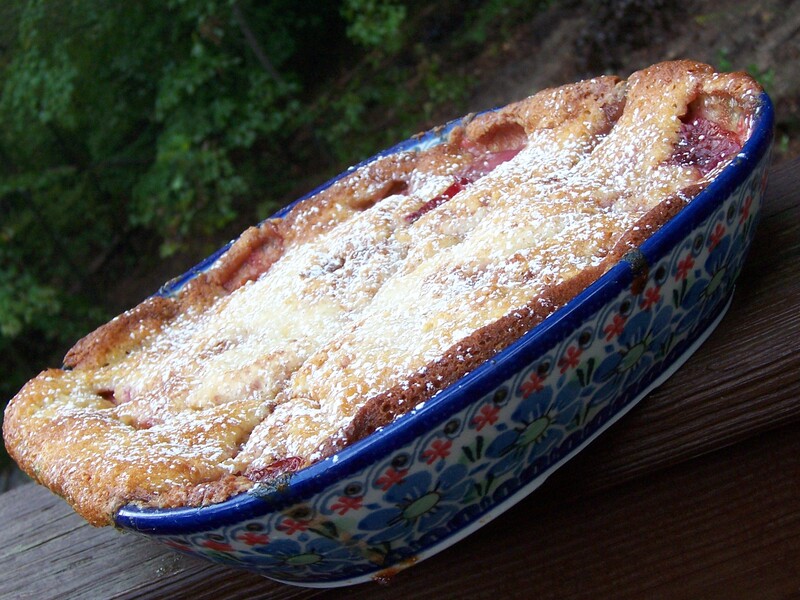 She picked Dorie’s Flip-Over Plum Cake, which is located on page 42 in Baking: From My Home To Yours. This recipe is just like a cobbler recipe that one of my friends from college, Kim, use to make. It was her grandmother recipes and we would just add berries instead of the plums. It tastes exactly the same, and it is one of the quickest recipes that you will ever put together. Best thing about this recipe is that it is so simple to make Vegan because there is no eggs, and you just substitute Earth Balance for the butter. I had yesterday all planned out.